The Black Ibis Tarot | The Attic Shoppe Trading Co. 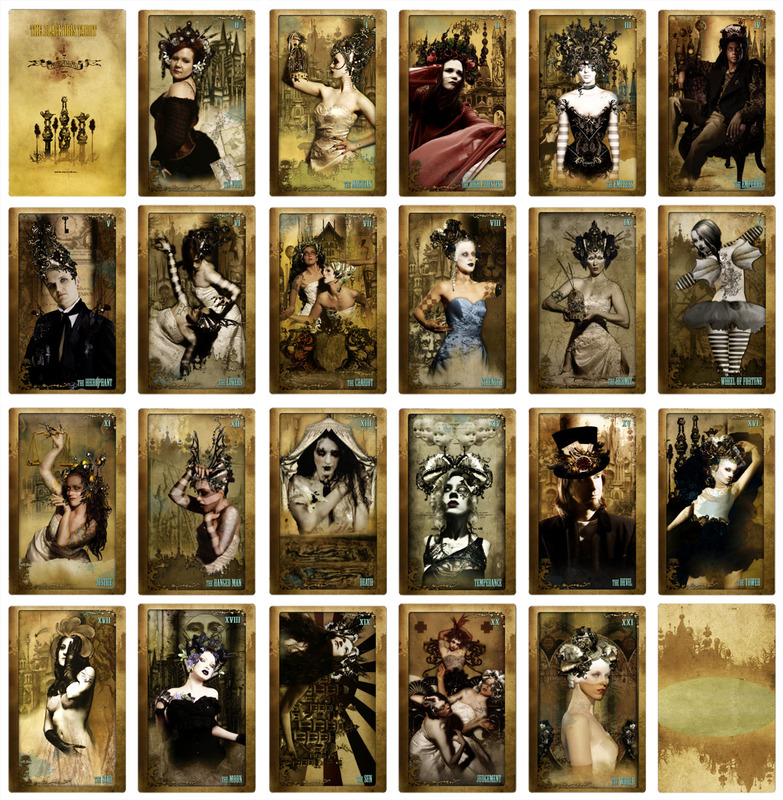 The Black Ibis Tarot is our second tarot deck and somewhat eclectic in style. This deck is a companion deck to our first deck the Sepia Stains Tarot and both originated in the Black Ibis graphic novel. In the story the decks are used to play a game that allows for peaceful resolution of disputes in an underground world. The Sepia deck offers character portraits while this deck we tried to recreate scenes from the story. The artwork is done in the style of the graphic novel and features symbolism lightly influenced by the Rider Waite Smith deck, at least as far as the major arcana goes. The minor arcana uses pips and characters from propaganda posters from the graphic novel. This is the third edition of the deck. We changed the card size to match the standard tarot size of our other decks. The card artwork was brightened up a bit and we added some additional color touches to unify the deck. When available you can find style/ordering options here.